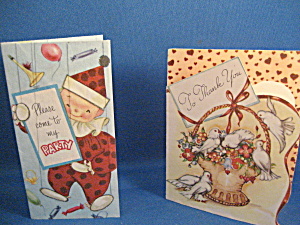 Both are cute little cards from the 50x-60s. The Thank you card is from Litho. The invitation is from Admiral. Both are in excellent condition and have not been written in.